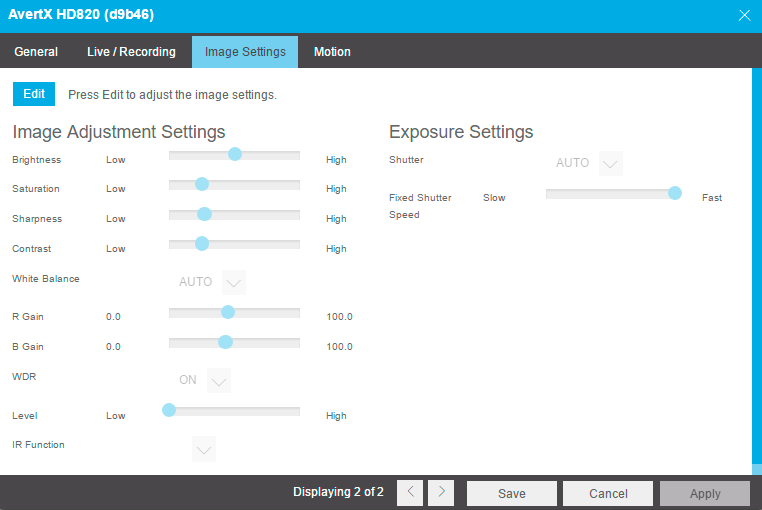 How Do I Adjust My Camera’s Picture Settings In Proconnect? Click on the Setup tab, then the Cameras button. In the Cameras list, click on the camera that you would like to adjust. * This option can drastically affect the quality of recorded video. The default value is recommended. **Using this option results in improved video quality but increases recorded video file size.